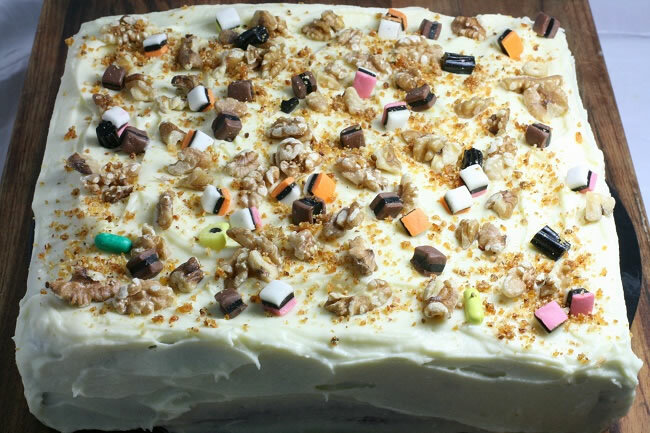 This is the sort of cake you can make without a mixer, on the spur of the moment when its somebodies birthday tomorrow, when your kid forgot to tell you about the cake stall or when another more glamorous cake fails you. All you need is a can of pineapple and some other grated vegetable. It uses oil and sugar and a few nuts if you want. This kind of cake becomes a favourite. it is nice and soft and moist and takes no skills at all to make. That I can sure you. Its really nice just as it is but I am a total sucker for cream cheese icing. Icing made of cheese works best with a cake that is not too sweet. 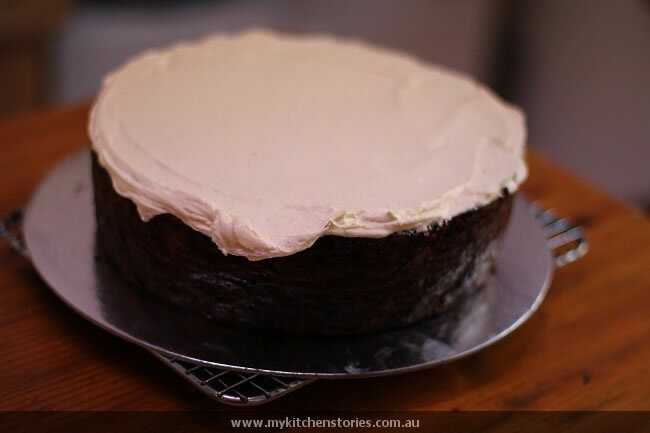 Its a classic carrot cake style cake, but made with oil and pineapple for extra soft long lasting properties. Make it round or square or even as a slab cake. This is totally, completely a keeper. Even if you are not a pineapple lover this will still be a favourite. It doesn’t have the slightest pineapple taste. Decorate with anything you like, lollies, fruit sparkles it’s up to you. I’ve made an Easter cake below. This is a moist delicious cake you can whip up without a mixer. Oven 180 C/ 350 F Sift the flour, bi carb, baking powder, cinnamon and salt into a bowl. 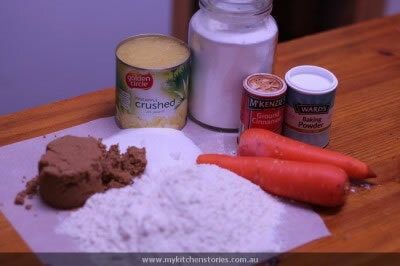 Mix both together and add walnuts. Icing: Beat the butter and cream cheese with vanilla till creamed and light. Add sifted icing sugar and beat till white and fluffy. 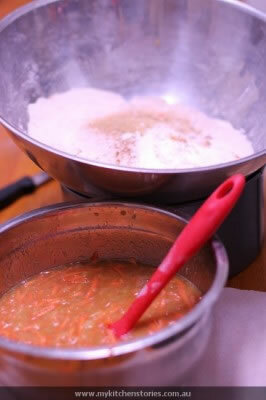 Add the sieved icing sugar and beat till fluffy and light. What a delicious celebration of Easter. The cake looks wonderful! I love the delicious moist sweetness that comes from the pineapple, it makes something quite unique- and delicious! I’m with Lorraine Tania those liquorice allsorts on top of the cake look wonderful…although so does the easter one. love how you used poky! I need to think about easter baking.. stat! I wondered if anyone would notice! 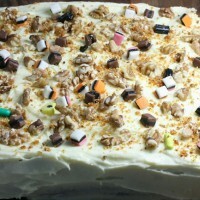 How funny… I posted a carrot cake today too! I love the Easter variation. Yum! 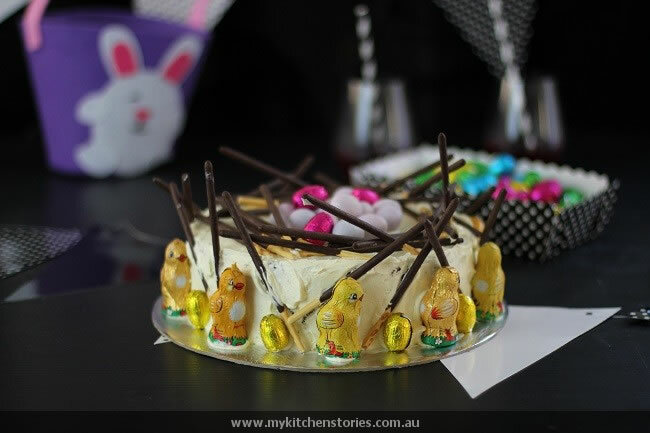 Both cakes are perfect for the Easter and they look fun and impressive! There can never be enough cake! What a fun and creative cake! That’s such a lovely Easter cake. 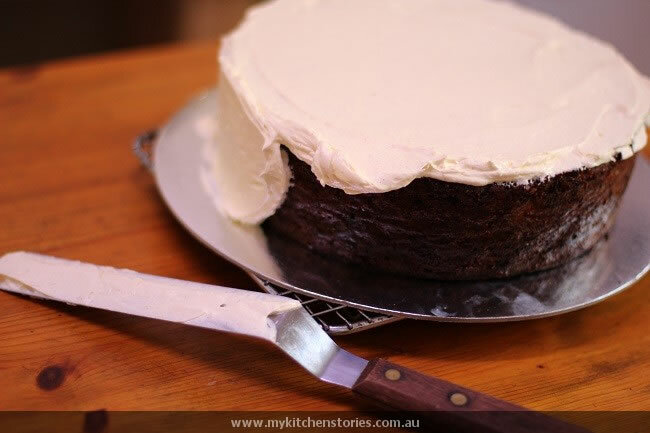 This has always been my favourite cake – so moist and tasty. 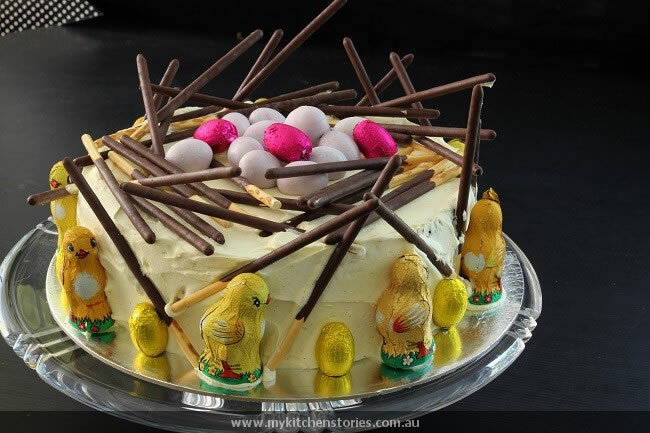 Nice idea with the Easter cake. Ooh…and only 2 bowls to wash up, no mixer! Love it!